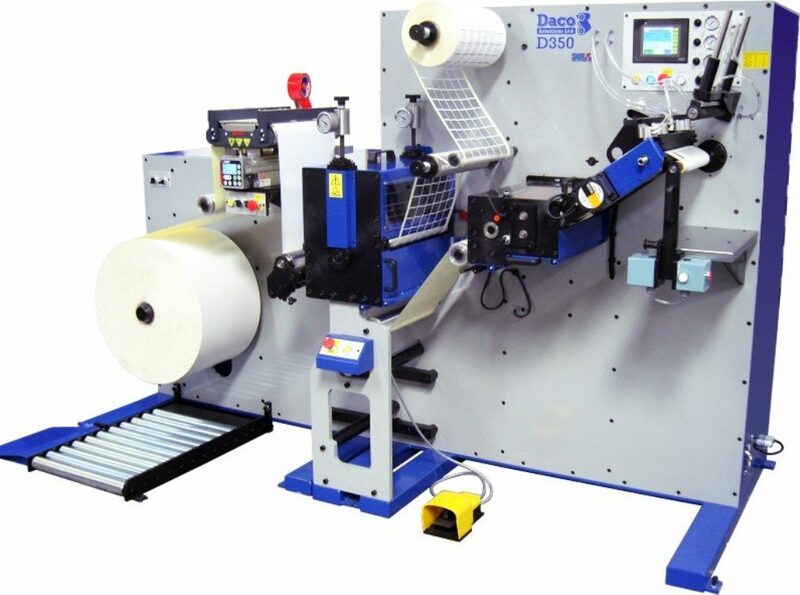 D250 / 350 rotary die cutter is a compact rotary die cutting machine for the production of plain labels for the small to medium production runs. 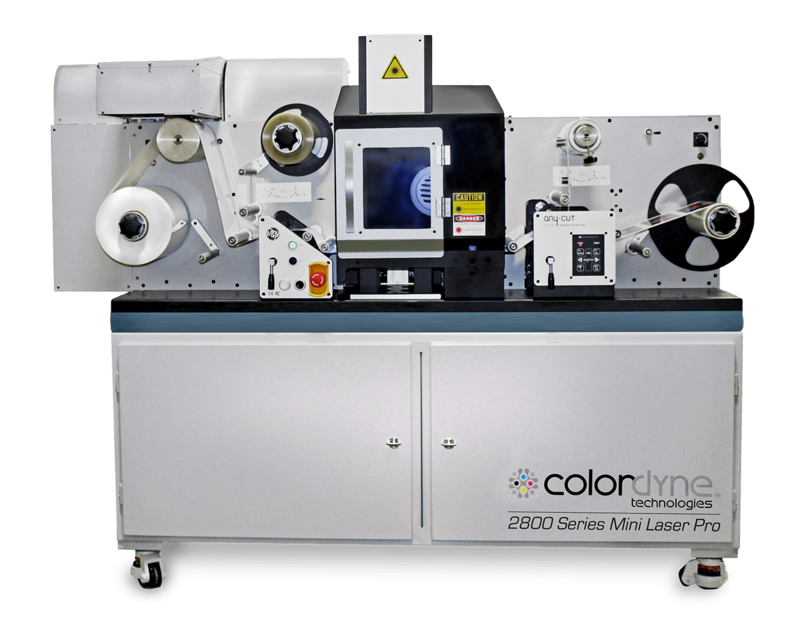 The machine has an host of options to enable a converting line to be configured for most applications. The machine is available with a 250mm (10″) or 350mm (13.75″) web width, a speed of 175 m/minute (575 ft/minute) and a 700mm (27″) unwind. 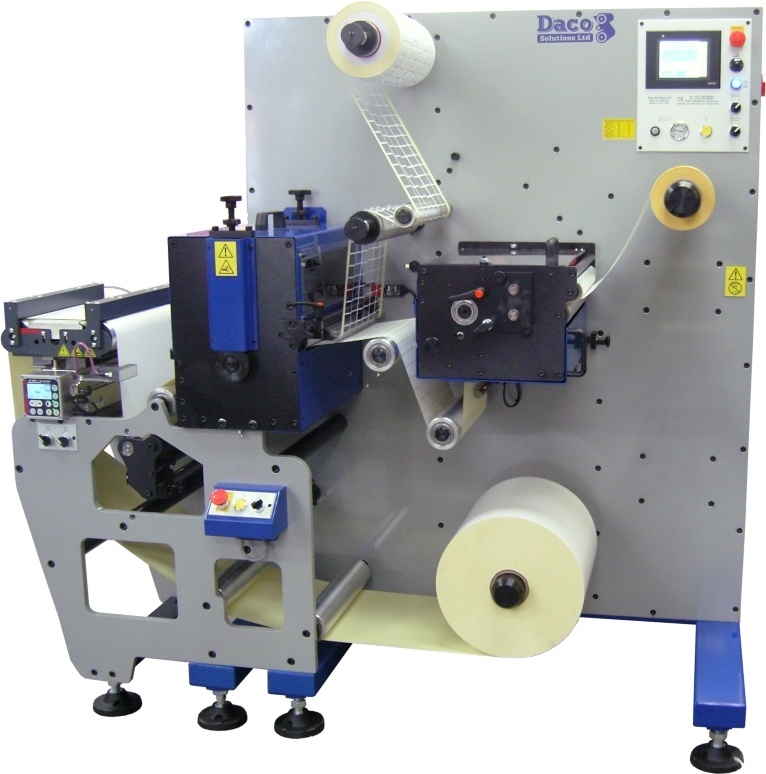 The Daco D250 / D350 rotary die cutter for the production of blank / plain labels is aimed at the medium to long production runs and utilises either a single or dual rotary die cutting station. The large 700mm (27.5″) unwind with taper tension control and Merobel electronic brake keeps roll changes to a minimum. 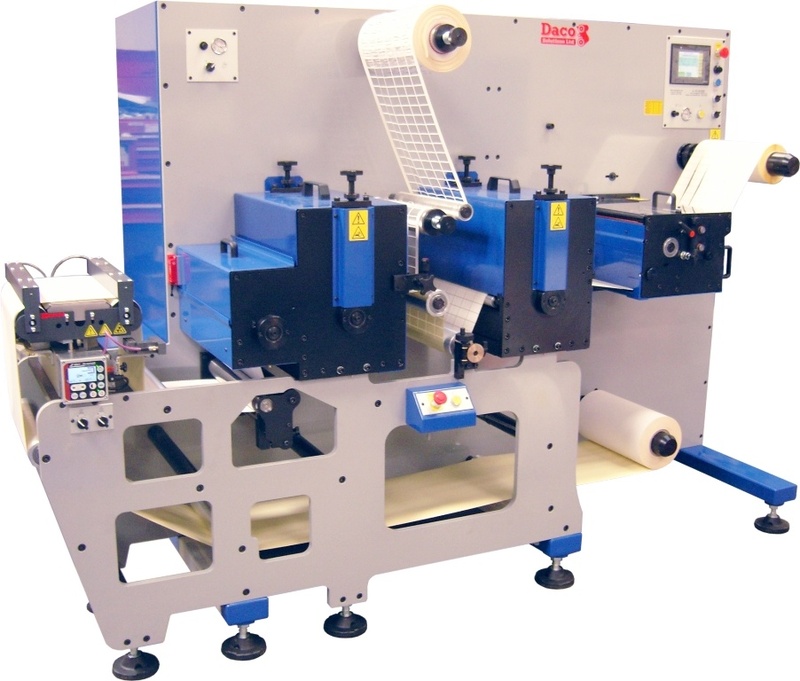 The machines compact size and short web path keeps wastage to a minimum, the fully adjustable silicone covered nip drive roller helps to keep down time to a minimum as labels cannot attach themselves to the roller. 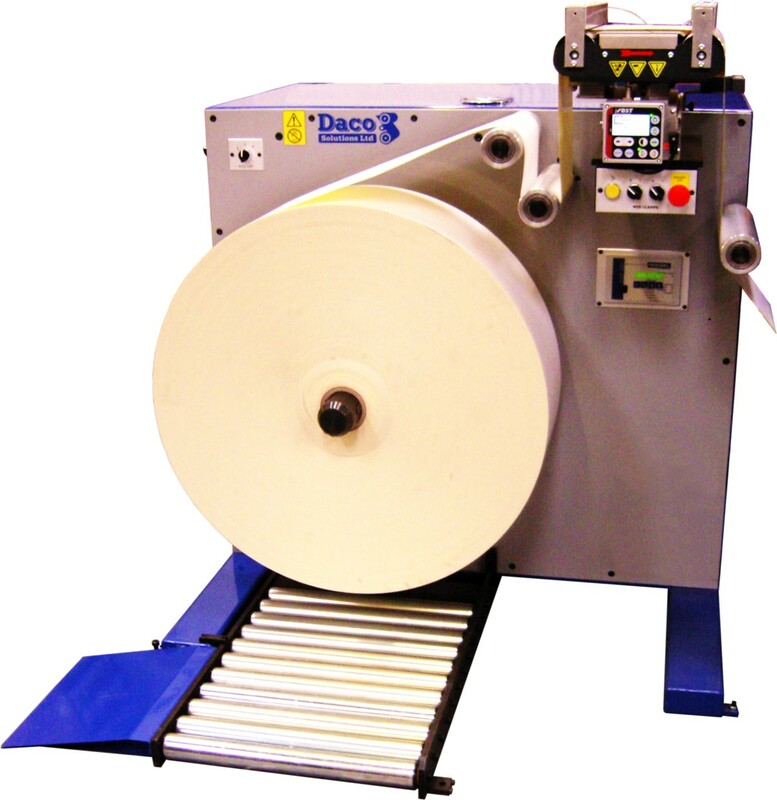 The D250 / D350 rotary die cutter has accurate tension control through the use of an electronic unwind brake with taper tension control and the rewind is controlled through a servo driven rewind. 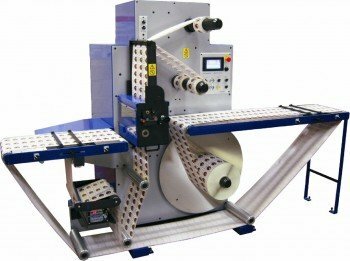 Quick set rotary slitting with on the run lateral adjustment is fitted as standard, the slitting knives can be set with the web in position unlike some cartridge systems. A splice table makes web splices both simple and quick. Quick change air mandrels for the product rewind ensures that cores a gripped firmly and a production speed of 175m/minute (575 feet/minute). 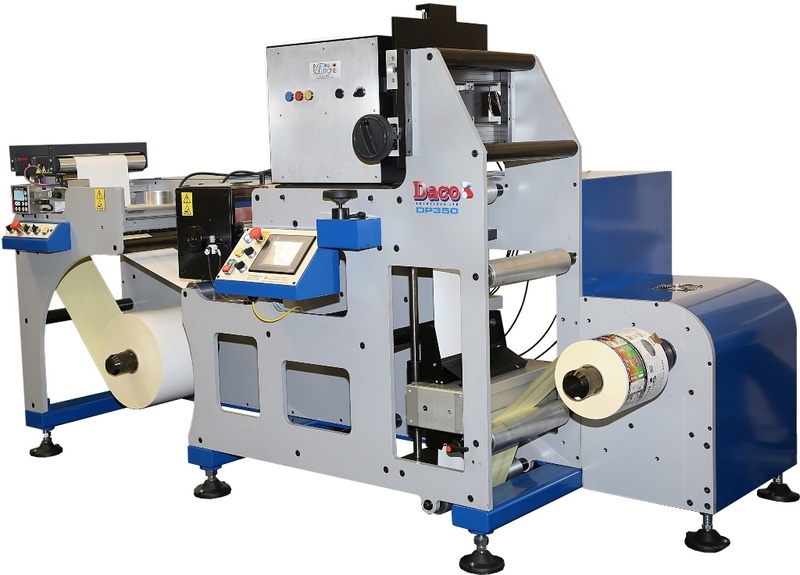 The machine is ideally suited to clients wish to produce plain labels for the growing thermal transfer label market. 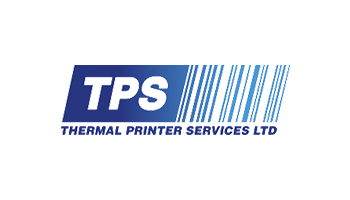 Web up – the operator can, at the touch of a button on the touch screen operator interface, release the unwind brake to allow for easier webbing up of the machine. A tape dispenser for the splice table. 153 – 406mm (6″- 16″) die repeats. Precision ground steel die plates – 250mm (10″) model 16mm (0.62″) thick / 350mm (13.75″) model 20mm (0.78″) thick. A driven capstan roller with adjustable tension control ensures reliable matrix stripping, enabling high speed running even if the matrix rewind becomes unstable. Matrix / Waste Rewind – 400mm (15.75″) diameter with fully adjustable tension control. Minimum slit width: 13mm (0.51″). Maximum rewind diameter: 360mm (14″). 76mm (3″) quick change air mandrel. 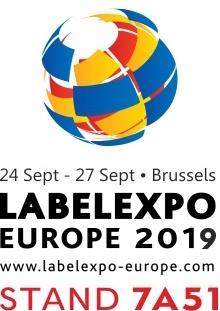 Label in / labels out rewinding. 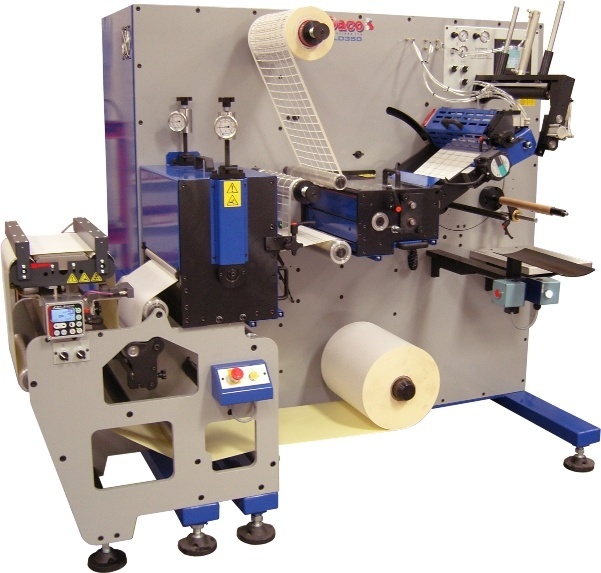 Additional rotary die cutting station – for perforating / sprocket punching (does not include matrix rewind). Web advance with auto cut and apply to the core. U250L / U350L Unwind Module – 1m (40″) unwind with roll lift. Servo driven re-register die station (die cut to register). Sheeting station with shingle conveyor. BST electronic web guide with an ultrasonic sensor. Semi automatic 3 spindle turret rewinder with auto roll ejection. Lateral knife separation – rotary slitting. Removable anvil with support roller – enables back cutting and sprocket punching. Dual product rewinds with independent tension control. Range of air mandrels – 25 to 76mm (1 to 3″). RotoMetrics Hydra Jacks die pressure gauges. 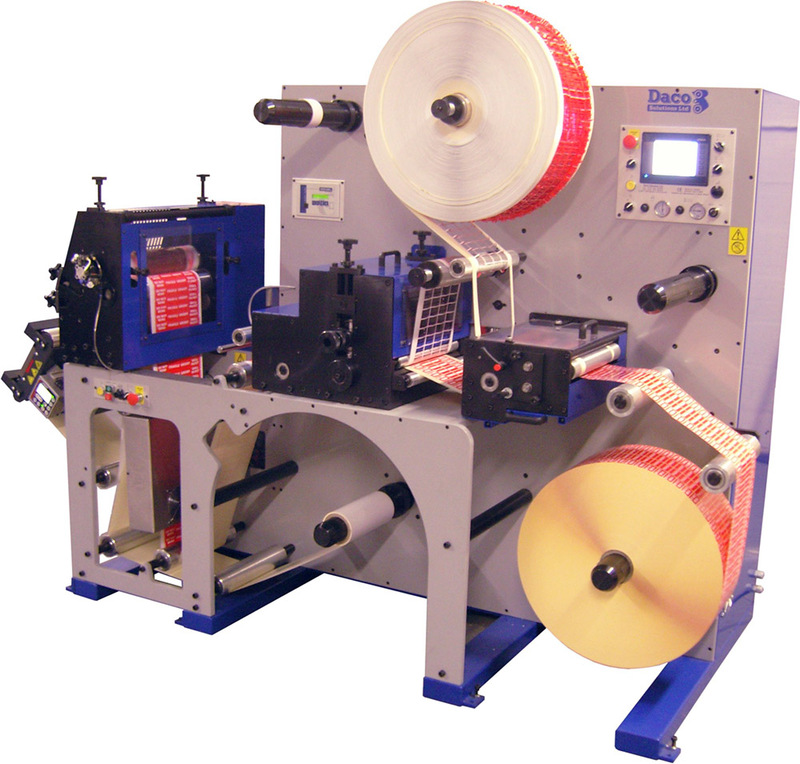 Razor slitting – with on the run lateral adjustment and a 10mm (0.39″) minimum slit width. Die adaptors to utilise existing rotary dies – Edale, KDO (K2), Dataply & Mark Andy (others available upon request).